The former Dr Feelgood musician - noted for his exuberant performances and mad-eyed stare - has spurned chemotherapy and is continuing to tour, as well as planning new recordings. Johnson has become an unlikely TV star in recent years after taking a role in the HBO series Game Of Thrones, which is screened in the UK by Sky Atlantic. The 65-year-old developed a choppy style of playing in which he plays both rhythm and lead guitar, and unusually he taught himself to play a right-handed instrument, despite being left-handed. His manager Robert Hoy confirmed the illness, terminal cancer of the pancreas. He said: "He has chosen not to receive any chemotherapy. He is currently in good spirits, is not yet suffering any physical effects and can expect to enjoy at least another few months of reasonable health and activity. "He has just set off on a trip to Japan; on his return we plan to complete a new CD, make a short tour of France, then give a series of farewell gigs in the UK. There is also a live DVD in the pipeline, filmed on the last UK tour." Among those to express their admiration with messages online was Radio 2 presenter Bob Harris, who has also been treated for cancer. 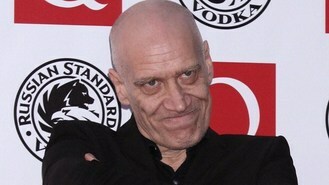 He said: "Really upset to hear about Wilko Johnson's cancer diagnosis. Endearing person, great character and massively influential guitarist." Johnson was a member of the pub rock-style act Dr Feelgood, formed on Canvey Island, Essex in the early 1970s, but left in 1977 after they had achieved a number one with the album Stupidity. He later went on to lead his own band and had a stint in Ian Dury's band The Blockheads. Director Julien Temple made a well-received documentary about Dr Feelgood, Oil City Confidential, which was released in 2009. The band's singer Lee Brilleaux died in 1994.